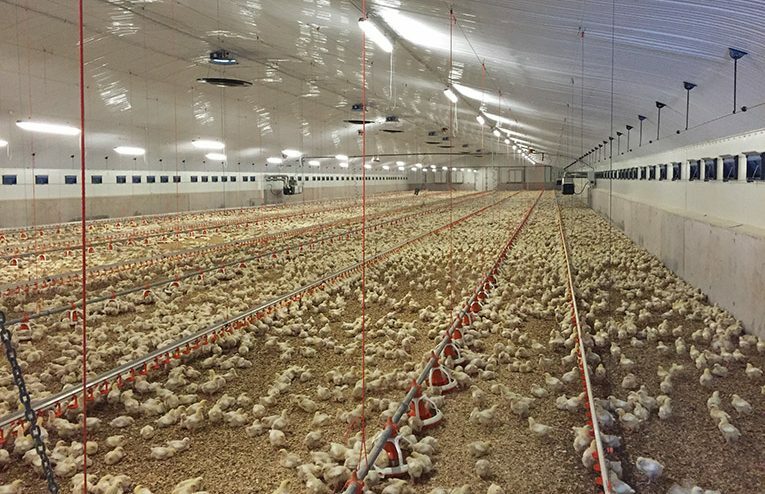 Over the last ten years, Ashley Hill Ltd. has earned an unrivalled reputation as one of the premier poultry house manufacturers in counties Monaghan and Cavan, providing a comprehensive one-stop-shop solution from design stage through to installation. 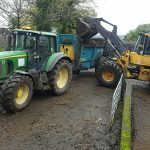 We visited the eponymous founder / proprietor at his Castleblayney base to find out more about this market-leading family-run operation and the full range of services offered to the local farming community. 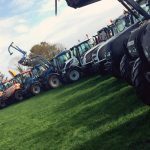 Renowned for delivering outstanding structural and steelwork, Ashley Hill Ltd. has firmly established itself as one of the leading manufacturers of agricultural buildings in the north east. 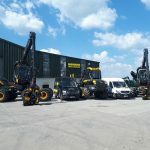 The company – managed by Ashley Hill alongside his wife Sandra, who looks after the accounts – also has a proven track record for manufacturing high-quality commercial buildings. From their manufacturing facility at Killycracken Castleblayney, County Monaghan, the trusty team of fabricators and engineers at Ashley Hill Ltd. have the capacity, wherewithal, experience and knowhow to provide farmers with all types of farm buildings, be it for storage or animal accommodation. 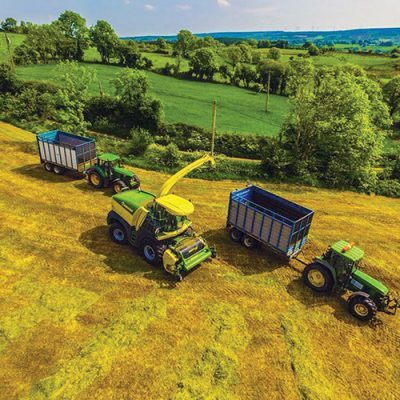 Down through the years, Ashley has developed a particularly strong reputation as the region’s No.1 poultry house manufacturer of choice, designing, manufacturing and installing units for all the main producers in an area widely recognised as being the epicentre of Ireland’s thriving poultry industry. As in every sector of agriculture, margins are tight in poultry and producers insist on quality and value for money in everything they do. The fact that so many of them are prepared to bring repeat business to Ashley Hill Ltd. speaks for itself. Today, Ashley Hill’s steel frame poultry houses can be spotted all over counties Cavan and Monaghan, with on average six being installed on poultry farms in the neighbouring counties per year. 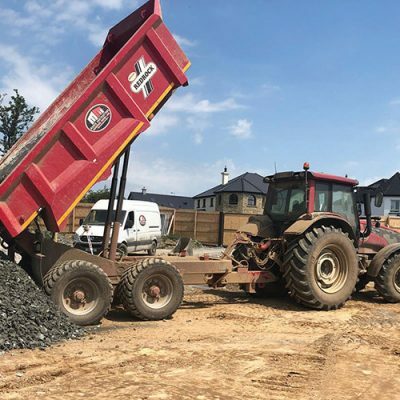 At the time of writing, Ashley was engaged on a large 40,000-bird unit for a client in Bailieborough, which was scheduled for completion in early September. In keeping with the company’s ethos of unrivalled service levels, projects are invariably delivered to precise specifications on time and within budget. Ashley is very much a hands-on proprietor and he takes a personal interest in each project, overseeing every job from start to finish. Quality is at the forefront of day-to-day activities and a highly-skilled team consistently offers outstanding workmanship on every building. “We have five fabricators here at the moment and they play a major role in our success,” says Ashley. “When you leave a good job behind you, then there’s a strong possibility that you’ll get more work. “We’ve never had to advertise. All of our work comes from word of mouth and that’s down to providing a good standard of finish. Every job is well done and finished on time. That’s what farmers expect and we make sure they are happy with the product and the service. 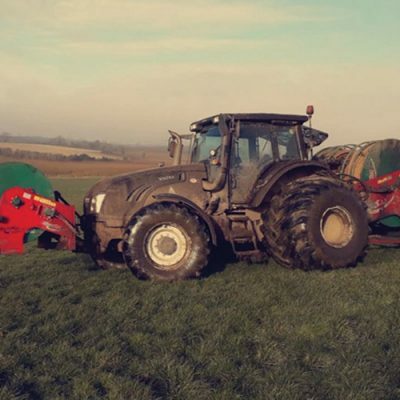 By offering bespoke, turnkey solutions and an all-in service, Ashley Hill Ltd. makes life as simple as possible for the farmer, who doesn’t need to deal with anybody else. All aspects of the new building are handled in-house in a professional and fully coordinated manner. This applies equally to poultry houses, cattle sheds or any other agri (or commercial) building undertaken. 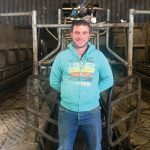 The fact that he hails from a farming background himself gives Ashley an understanding of the pressures that farmers deal with and leaves him in a good position to empathise with them and deliver solutions that will dovetail with their needs. “We’d be well enough known in this part of country anyway,” he concludes. “The demand for poultry houses seems to be steady all year around, which is good. There are a lot of new people coming in to do free range eggs and between that and the broilers and the free range broilers, there are plenty of new units needed.